A new and improved assisted-braking belay device. There’s something nice about being able to see everything that’s happening inside a belay device—all the bends in the rope, what allows that ever-so-important braking to take place. 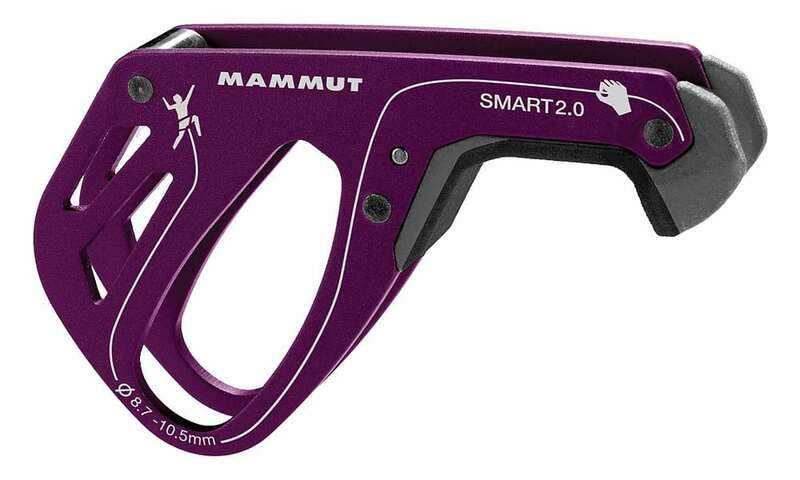 With the Mammut Smart 2.0 nothing is left to the over-active imagination; the simplicity, intuitiveness and reliability of this assisted-braking device are confidence-inspiring. This new iteration of the Smart (the 2.0 hit shelves earlier this year, while the original debuted in 2009) has more ergonomic geometry than its predecessor. The device requires you to tilt the nose up or down with your brake hand depending on whether you’re letting out slack or not. The new shape of the device allows smoother braking and unlocking the device from the brake position is easier. Your brake hand’s thumb rests on the underside of the device, which has a new rubber insert to make it more comfortable. There is also a new steel insert within the device that helps the device brake even better. At $34.95, the Smart 2.0 is a good bit cheaper than comparable assisted braking devises. And a just 80 grams, the Smart 2.0 weighs considerably less than something like a Grigri or a Revo, but still provides that extra bit of security. The Smart 2.0 is not meant as a hands-free device (nor is any device for that matter—keep that brake hand on!). But knowing that if a worst-case scenario happens—your belayer gets distracted talking to a friend in the gym (tsk, tsk!) or, god forbid, you pull off a massive block outdoors that knocks out your belayer (good thing she was wearing a helmet, eh? )—the assisted-braking design should do its job and kick in is definitely reassuring. 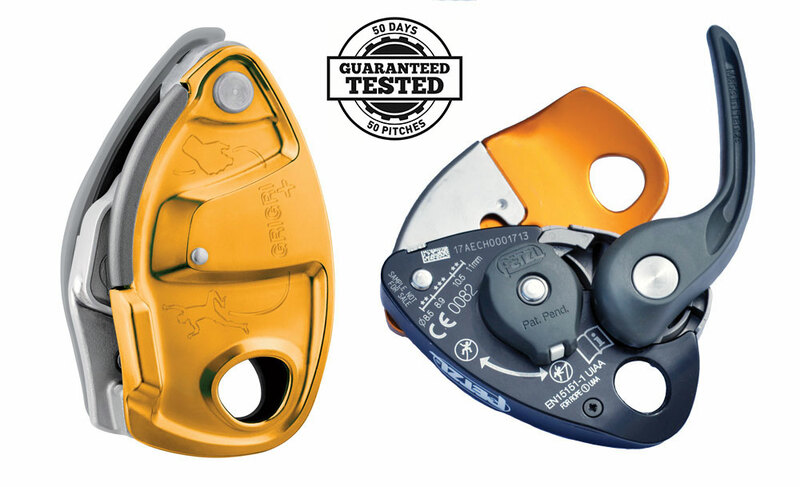 And, ultimately, falling into the less-than-worse-case-scenario but just plain convenience category: it’s easier and less tedious to hold your hangdogging partner when belaying with a Smart 2.0 than with your old Sticht plate. We haven’t had a chance to check it out, but the Smarter is an attachable and removable add-on piece that Mammut designed to help prevent certain user errors. 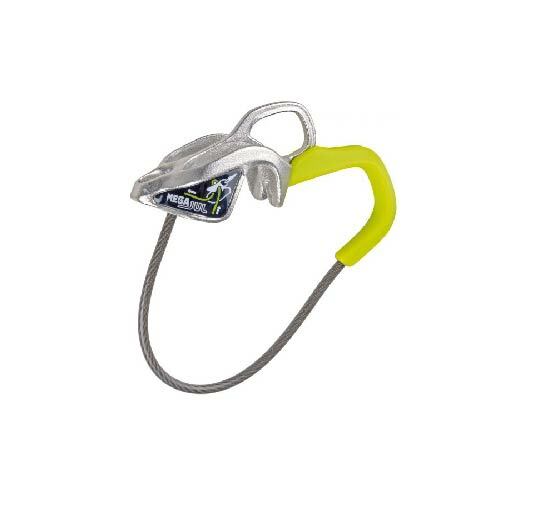 It sounds like a good item for the beginner to intermediate climber. It simply snaps onto the Smart 2.0. For more on the smarter watch the video below. The Smart 2.0 can accommodate 8.7 to 10.5 millimeter ropes.The biggest drawback is that it’s not double-rope compatible, so alpine climbing and anything requiring double-strand raps are out. Maybe we’ll see an iteration of the Alpine Smart incorporating Smart 2.0 updates in the near future? To be determined!